SINGAPORE - A total of 106ha of land - roughly the size of the Marina Centre area - will be acquired by the Government to expand Tengah Air Base, it was announced on Tuesday (July 18). The move is intended to facilitate the future relocation of the Paya Lebar Air Base (PLAB), which will free up 800ha of prime land in the north-east region. Here are five things to know about the expansion plan. The potential space - larger than the current Bishan or Ang Mo Kio town - that will be made available by PLAB's relocation will allow for new residential homes, offices, factories and parks. This also paves the way for height restrictions around Paya Lebar, and over a bigger area stretching down to Marina South, to be removed and allow for future taller developments. Prime Minister Lee Hsien Loong first announced plans for PLAB's relocation to Changi East during his National Day Rally speech in 2013, when he spoke about new and exciting plans for the "big chunk of eastern Singapore". Four plots of private land immediately west of TAB - three fish farms (two ornamental, one food) and a nursery - will be acquired by the Government. Their owners were notified by the Singapore Land Authority on Tuesday and will be compensated based on market value for the acquired land as at the date of acquisition. They can continue operating until January 2019. 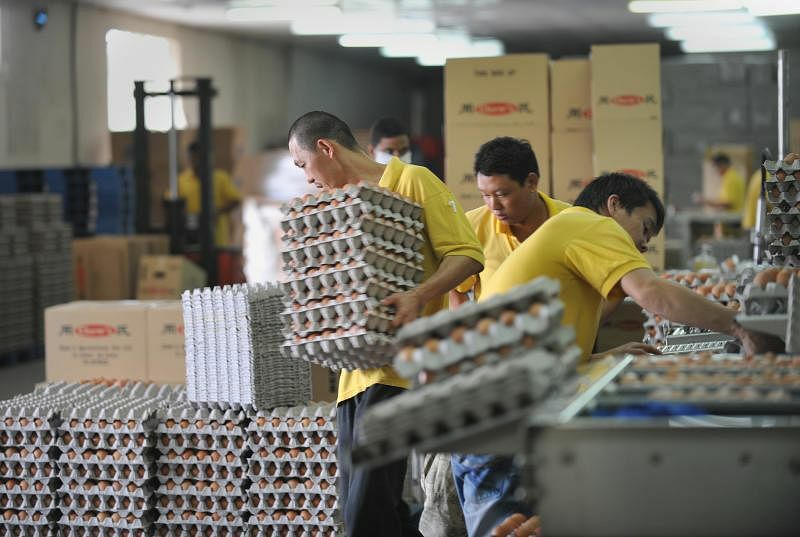 The other two farms to make way are an orchid farm, which will not have its tenancy renewed when its lease expires in 2019, and an egg farm, which sold its remaining lease to the Government in May last year to purchase a new site. The affected farms will have a chance to bid for new spaces to continue their businesses - for instance, the Agri-Food and Veterinary Authority (AVA) will tender new farm plots for food fish farming in October this year. Details of tenders for spaces for ornamental fish farms and nurseries will be released by AVA and the National Parks Board (NParks) respectively once available. 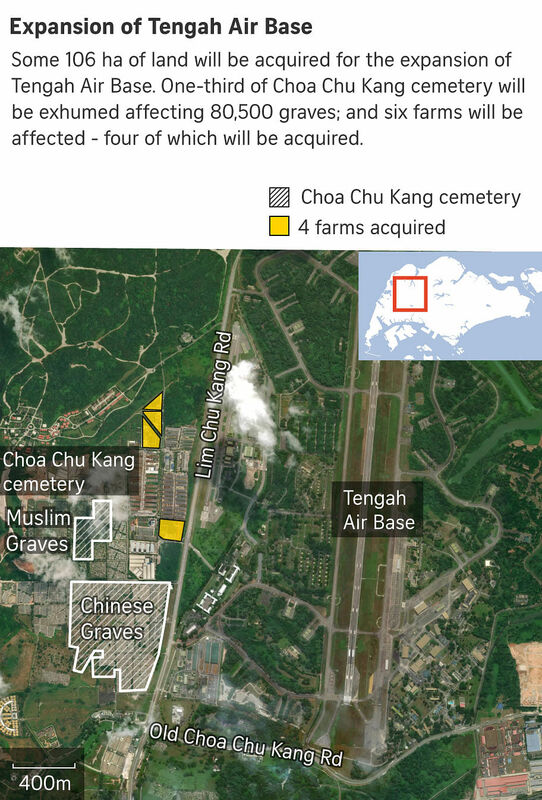 The affected area, about 100ha in size, comprises 45,500 Chinese graves and 35,000 Muslim graves, which the National Environment Agency will exhume as part of ongoing phased exhumation in the cemetery. 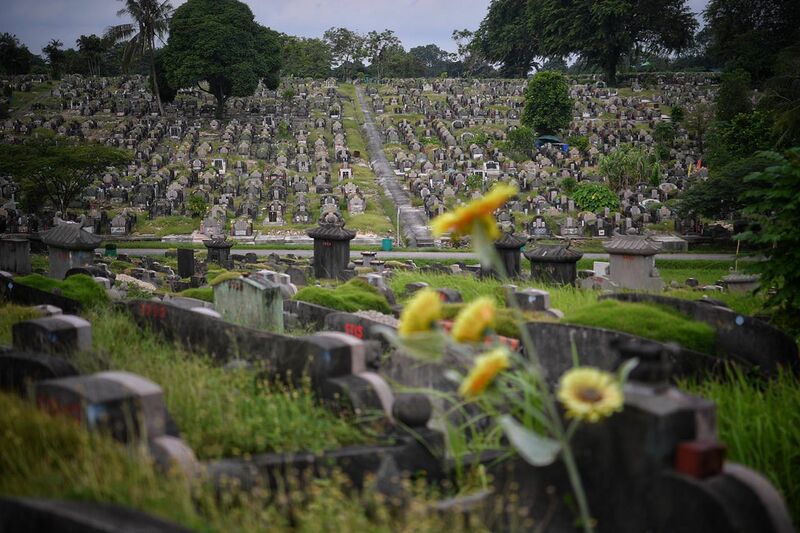 Claims and registration for all of the affected Chinese graves and 5,000 Muslim graves, which have met the minimum burial period of 15 years, will start in September. Notices of exhumation for the remaining affected graves will be issued at a later date once they have met their 15-year burial period. Physical exhumation is due to commence from the fourth quarter of 2019. The expanded part of TAB will affect the existing Lim Chu Kang Road, including a 1.8km stretch of its Heritage Road, known for its tall, mature trees with overarching tree canopies. 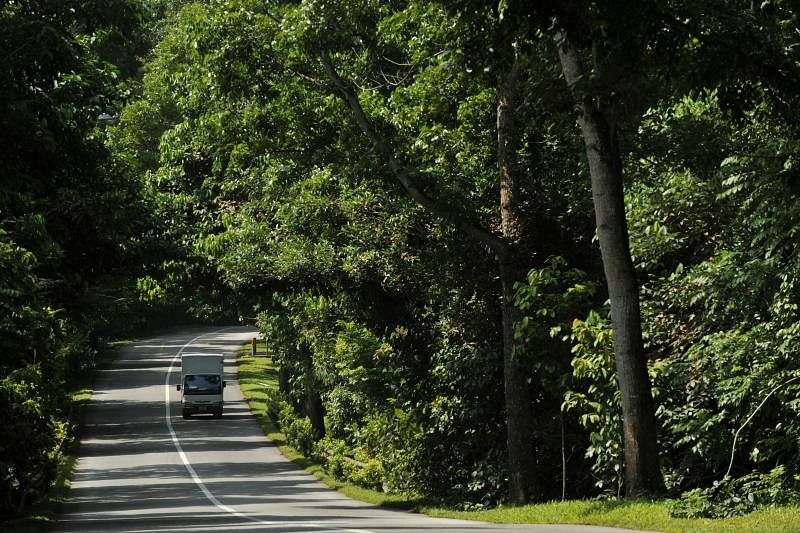 There are five Heritage Roads, including Lim Chu Kang Road, and they come under the Heritage Road Scheme, which was launched by NParks in 2001 to conserve the scenic and significant tree-lined roads of Singapore. These roads have a green buffer of 10m on both sides, and the removal of trees or plants is prohibited. The various agencies are studying the exact impact on the road and possible mitigation strategies, which include transplanting trees where possible. The Government said that in the course of developing its plan for TAB's expansion, it took into account Singapore's national defence and security needs, as well as the overall benefits of moving PLAB in the longer-term. "Government agencies have, as far as possible, tried to minimise the impact of these works, and affected stakeholders will be given advance notice to make alternative arrangements," it added.